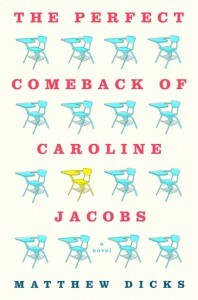 The Perfect Comeback of Caroline Jacobs: A Novel - Jess Loves to Read! This was not a book that I would have normally picked out to read. However, I saw that it was available to review through NetGalley and read a bunch of excellent reviews and was intrigued. It took me a little while to get into this book, but once I got into it, I really liked it. I've been reading so may dystopian and YA novels lately, and this was a nice change. At first, I did not relate at all to Caroline, but as the book goes on, I think that everyone can relate to some part of the story. I would recommend this story to any woman looking for an easy read with a good message and a sweet ending.